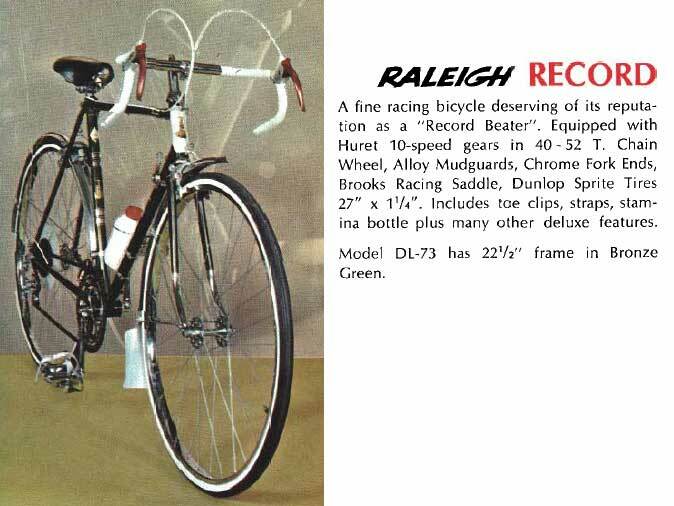 For most of the '60s and the Bike Boom '70s, the Record was the bottom of Raleigh's drop-bar line. 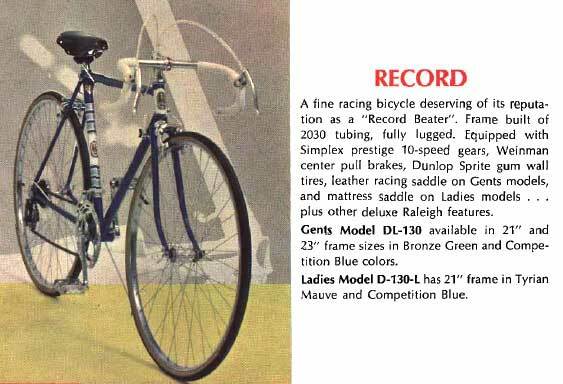 The frame is basically the same as the Sports three speed. 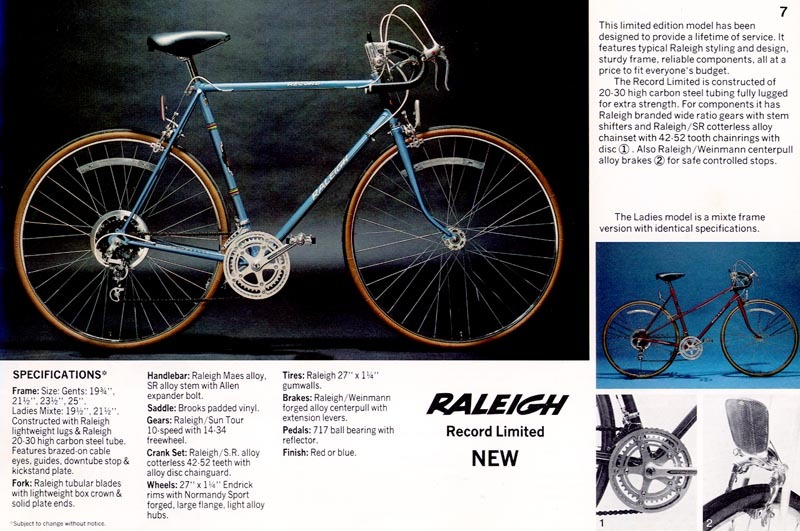 It competed with the Schwinn Varsity and later many low-end French models. 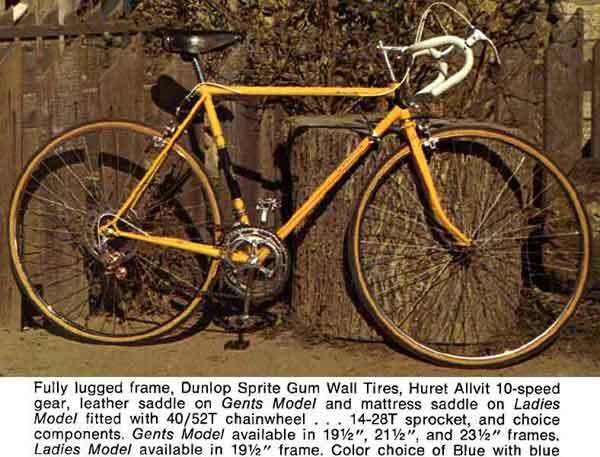 It was pretty much all steel, except for the brakes. 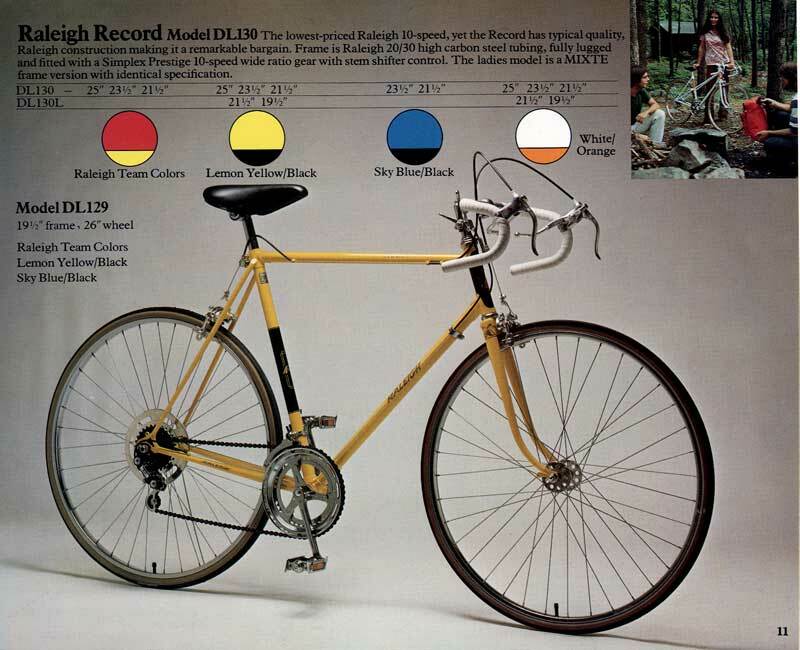 Big changes for 1977: The new Record Limited has cotterless cranks, and Sun Tour derailers. The beginning of the end for the French parts makers.